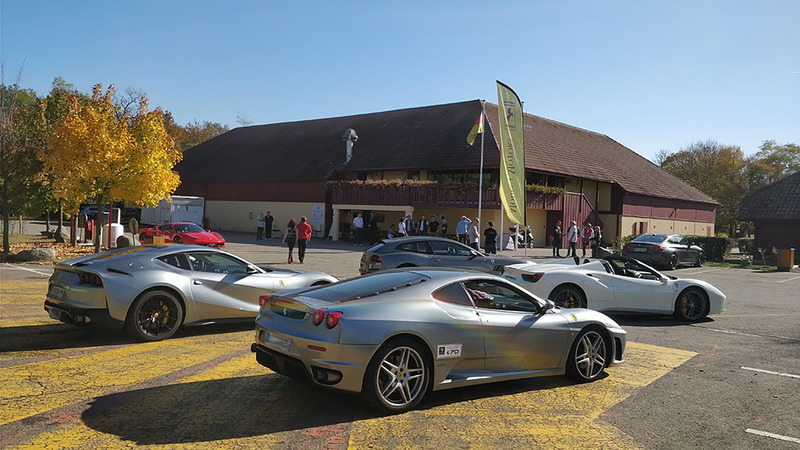 On Monday October 16, 2017, Ferrarista members were invited by the Modena Motors dealership to drive their Ferrari on the Anneau du Rhin circuit, as well as to test the Ferrari and Maserati ranges. A good opportunity to spend great time with other members, to make you happy driving your Ferrari and to forge your own opinion on the current range, even if the trap ... is to succumb to the novelty. Many members participated in all or part of the event, including @Ga68, @bernwizard, @JMM91, @Zaz, @Cyril68, @F355QV70, @Blaze, @Giallo-54. Sunday, October 15, for members who came from far away and the locals not available the next day, was organized a Ferrari cruising on the most beautiful roads in the area. Some did not hesitate to make more than 500 kilometers for the occasion! A great sun, beautiful landscapes, enthusiasts, what more? A dinner was then organized to discover and enjoy local specialties. It allowed all the group present to get to know each other, before turning on the circuit the next day. Thank you to @Zaz for the organization of this dinner and hotel reservations. The Domaine du Moulin in Essisheim was perfect! Wine for breakfast and homemade jams, we are not ready to forget! There was even the pool and sauna for those who took the time. The next day, on the Anneau du Rhin circuit, the track is in free access. This allows everyone to go at their own pace. An instructor is available to improve your driving throughout the day. The top, on a track where few vehicles drive at the same time. These sessions also allow you to see and hear other Ferrari on the track, including the new Ferrari 812 Superfast and Ferrari GTC4Lusso. The sound of their V12 at full load is remarkable, compared to that of the V8, which are however not left out. The sound level is the highest at the passage of the Ferrari F430 Challenge. It has no road homologation standards to follow, while they have not stopped reducing the volume of Ferrari in recent years. The lunch allowed you to admire the old Ferrari concession present on the spot, on which give the bay windows of the room of the meal. Cars, especially racing cars, are always stored there. Lunch is also an opportunity to discuss further with all participants. The highlight of the day, from my point of view, were the tests of the Ferrari and Maserati ranges. Everyone booked a slot and a vehicle at the Modena Motors dealership before coming. But in the end we could test more than expected. 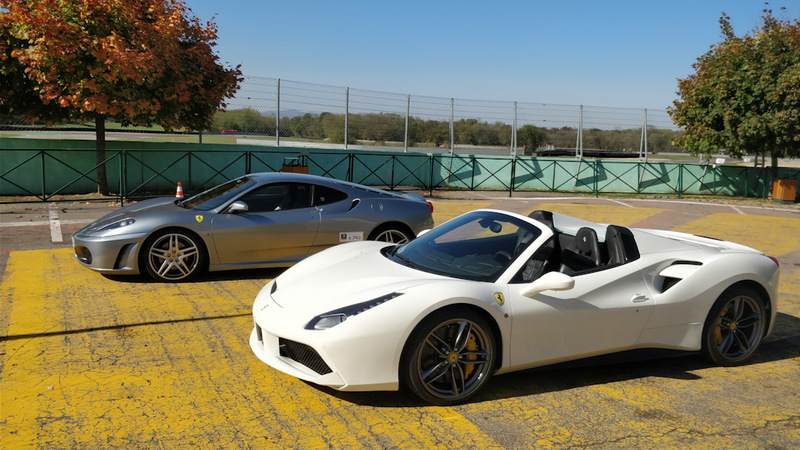 For my part, I started my tests with the Ferrari 488 Spider. It's the one I reserved. 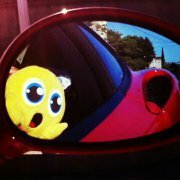 She was white and convertible, to enjoy the big sun that day. I pass on the first meters realized in automatic mode. At 50 km/h, you are already on the 7th gear, in a silence and comfort such that you are no longer in my definition of a Ferrari. I understand that it meets the needs of a certain clientele. So I moved quickly into more sporty modes by turning the manettino. And here it is immediately more enjoyable! The sound is omnipresent, despite the turbos, and even more at low revs. It's very nice, especially since the car is very responsive. 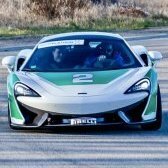 I was able to make a second test as a passenger, which confirmed me as it is fabulous as a sportcar usable daily. The Ferrari 812 Superfast is not in the same league. You are in a coupe, sitting almost on the rear wheels, it is more impressive with its 800 horsepowers! But the grip is just as easy, in automatic mode at 50 km/h on the 7th gear. Everyone can drive it! If you turn the manettino and raise the tone, it is however very different. The elasticity of the engine and the sound of the V12 have nothing to do with the Ferrari 488. The way the power is delivered either. And what is very impressive is the agility in fast turns, thanks to the four-wheel steering! A ballerina. And probably my favorite test. A world separates it from the Ferrari 599 GTB, which is already a superb Ferrari. 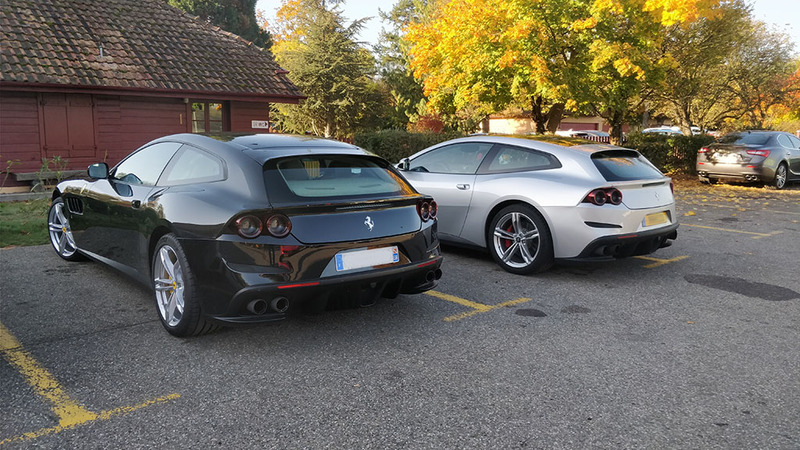 I also tested the Ferrari GTC4Lusso. I'm not a fan of the look, but inside, to travel with your family, it's fabulous. The V12 is present, with its qualities, including vocalises. 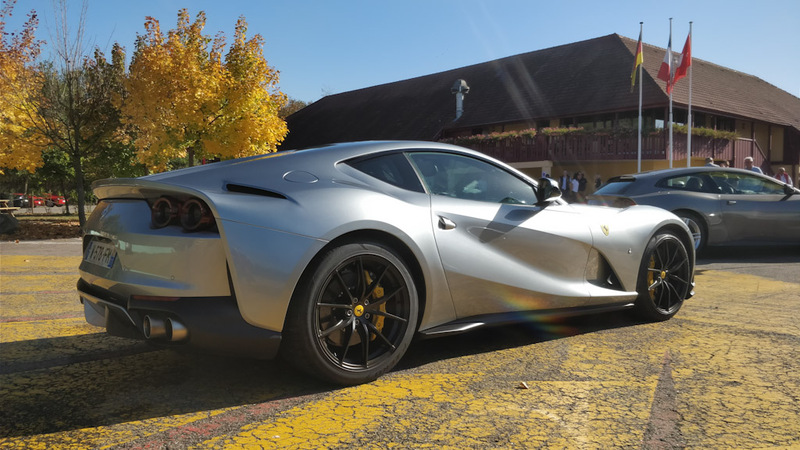 It is not a sportcar, as the 812 Superfast knows to be if it is needed, but a very good GT. After having made a second test in the rear passenger seat, the electrochromic roof is essential, because it gives the impression, behind, that you are the front passenger. You enjoy a panoramic view that avoids any feeling of clautrophobia, in its rear seats that are comfortable but not very big. I had a great time thanks to the members present and the Modena Motors dealership. Thank you ! A big thank-you ! Too bad there were not even more members of Ferrarista to enjoy this event. Maybe for the next, because it was a first. And you, what was your opinion on this release, if you participated? And if not, do you think that this type of event should be reiterated? Would you participate? How can we improve it? Thank you for your feedback. - Where should you have your Ferrari serviced? la prochaine fois c’est sur !! Merci @Calif38 pour ton commentaire ! C'est bien noté pour la prochaine fois. Cela en fait déjà 2 pour une prochaine édition. Merci @Zaz pour ton commentaire et ton implication sur cette sortie. Cela en fait trois qui votent pour renouveler cet événement.